Wenger portable ramps are strong and stable, and they attach securely to Wenger staging units. This cost-effective ramping solution helps ensure that all performers have an equal chance to take the stage. 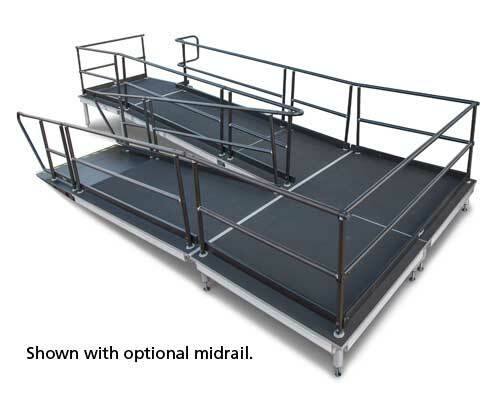 4'-wide (1219 mm) ramps adjust to the exact height of stage elevation. These ramps are customized to your specific application. Please call your Wenger representative for assistance.